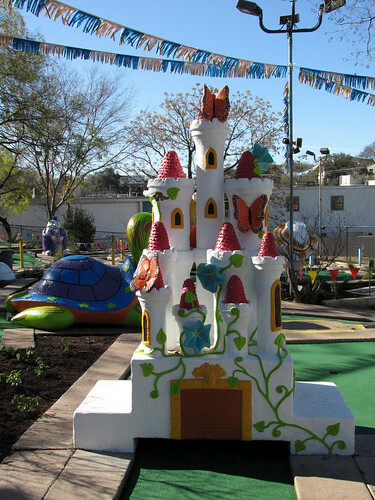 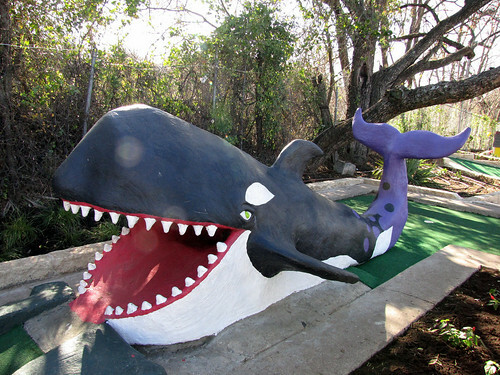 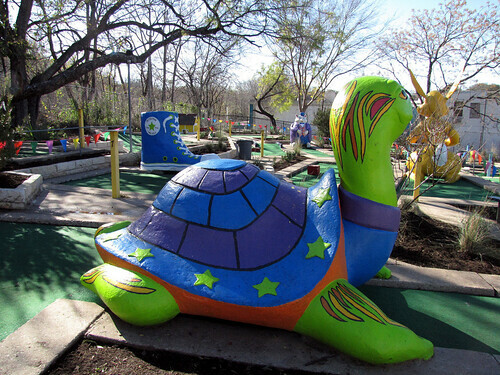 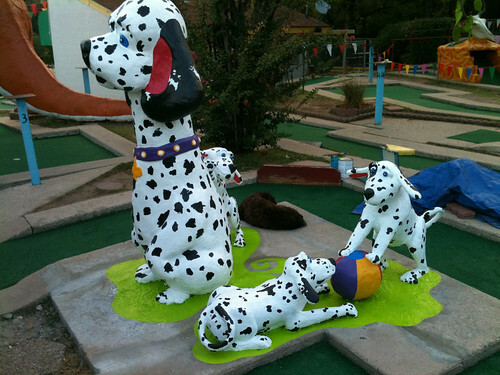 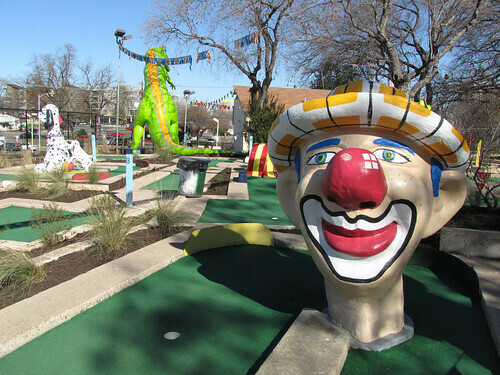 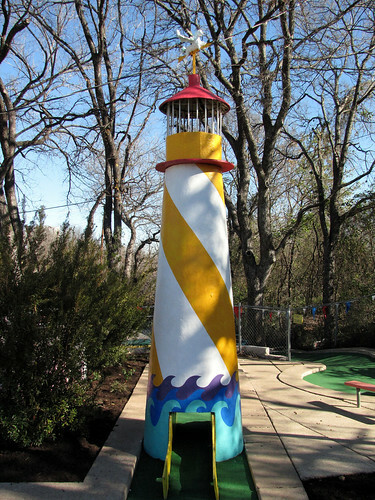 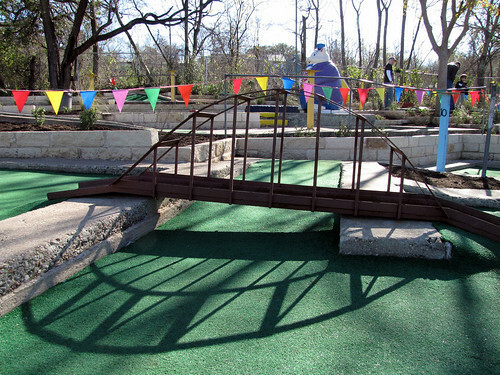 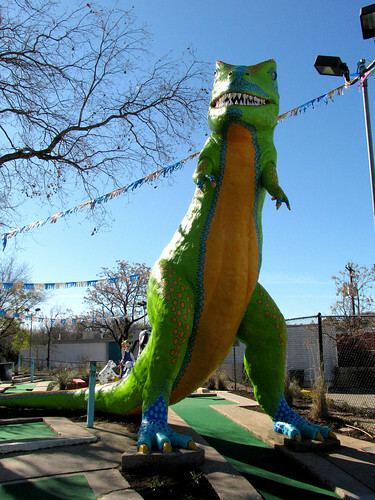 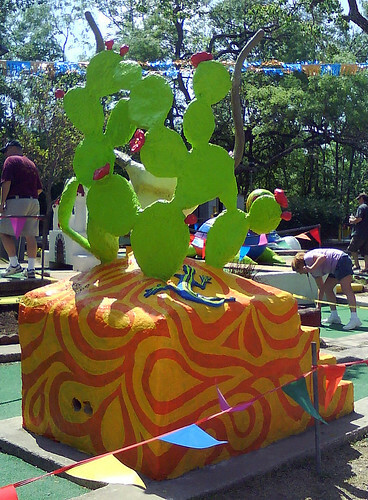 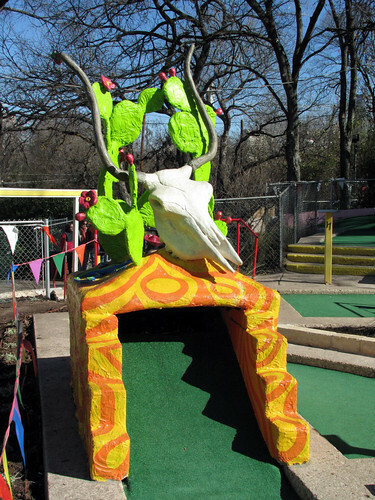 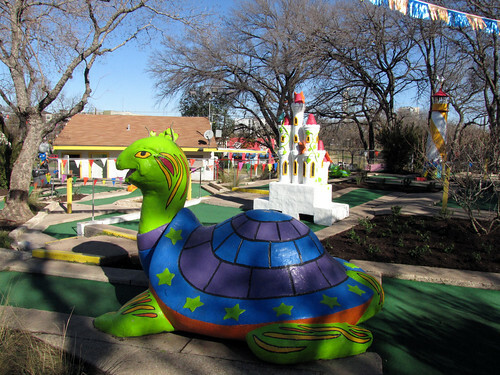 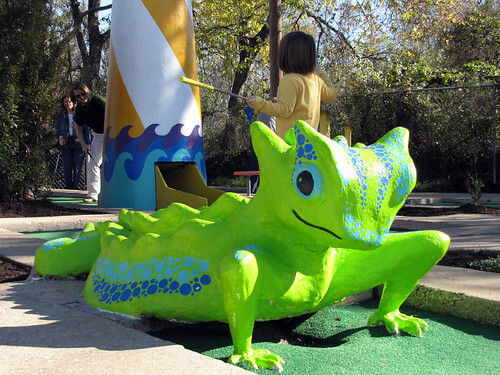 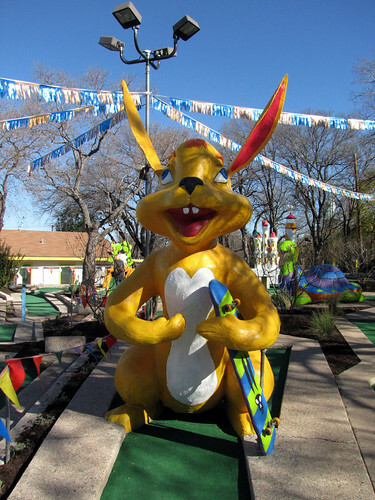 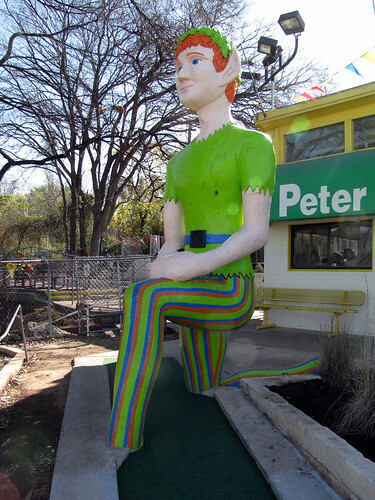 Peter Pan Mini Golf » What’s New! 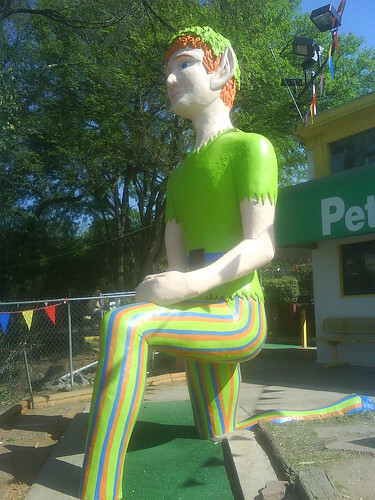 Peter Pan Mini Golf has been renovated! 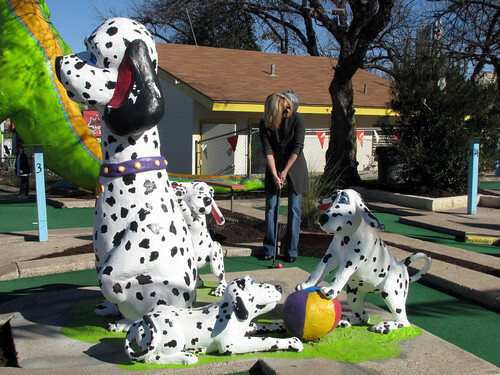 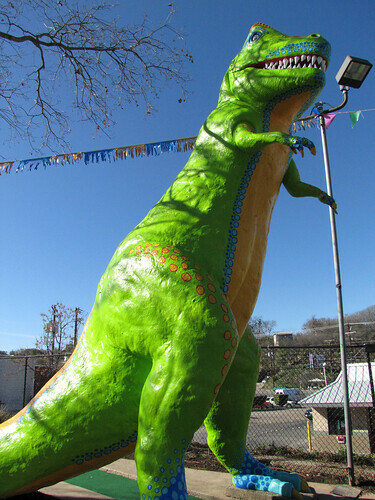 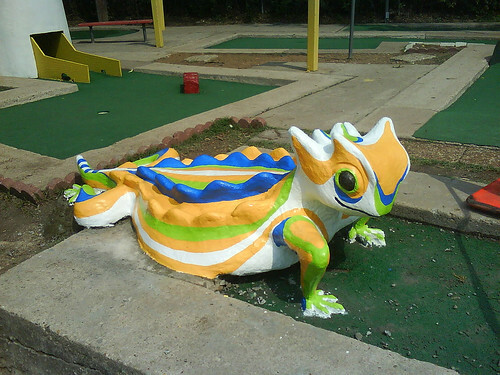 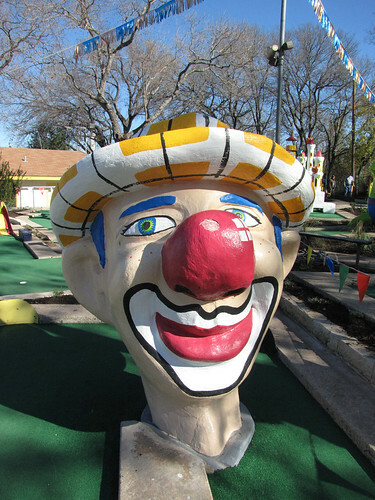 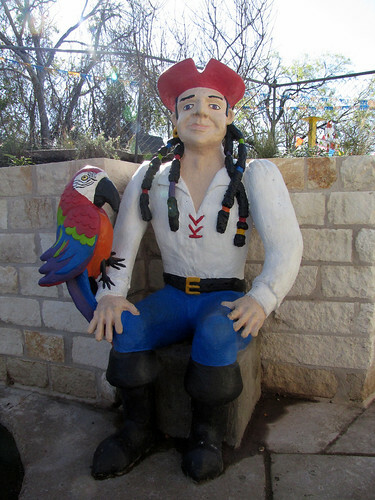 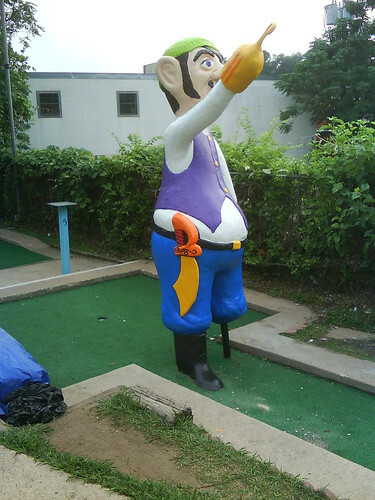 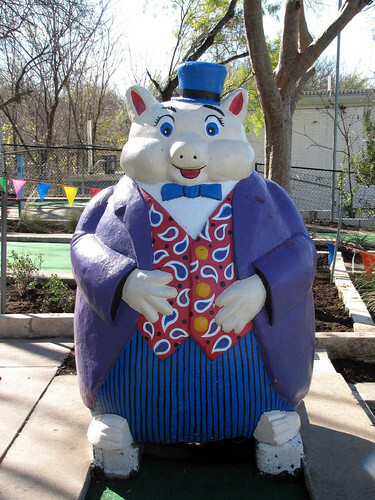 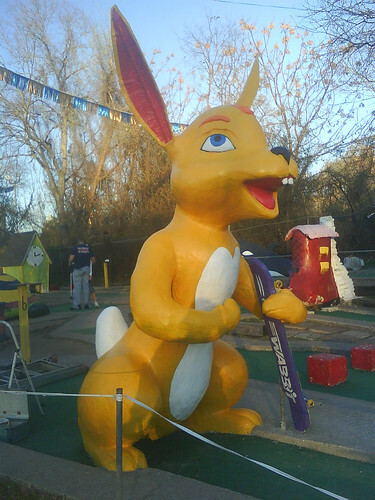 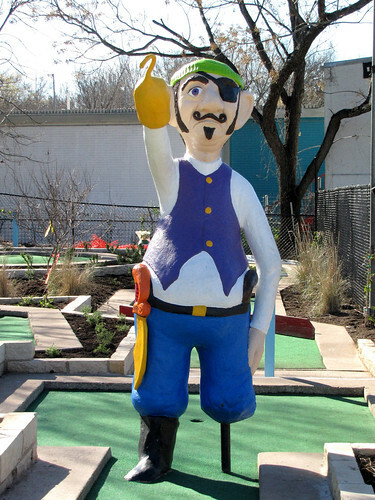 Next time you play at Peter Pan Mini Golf, you will notice all of our characters are looking super fresh! 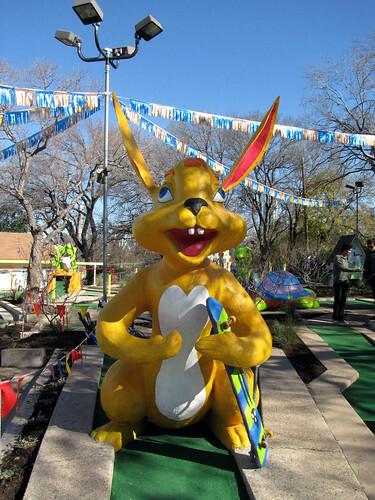 Who knows – you might even meet a few new ones! 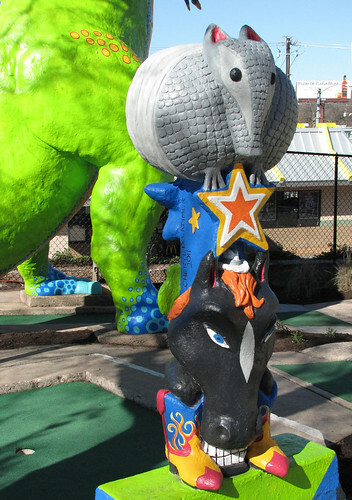 Our new Texas Totem Pole was featured briefly on Jimmy Kimmel! 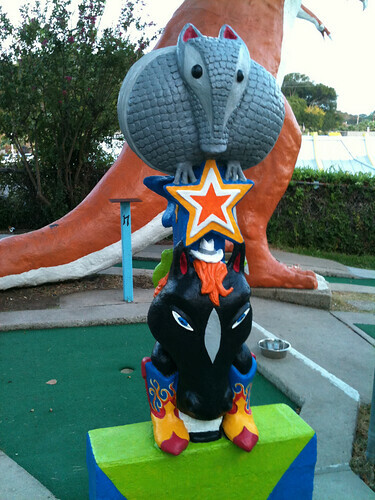 Cowboy boots and hats, a horse, the Texas Star, and an Armadillo of course! 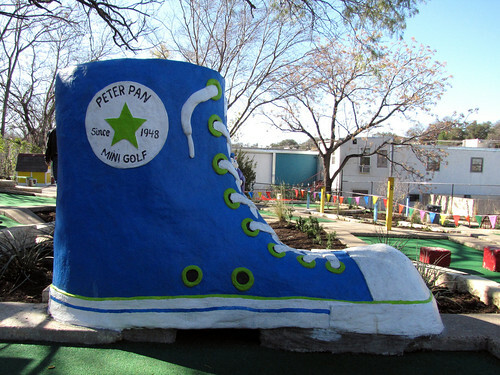 Check out the new pumped-up kicks on our classic Shoe! 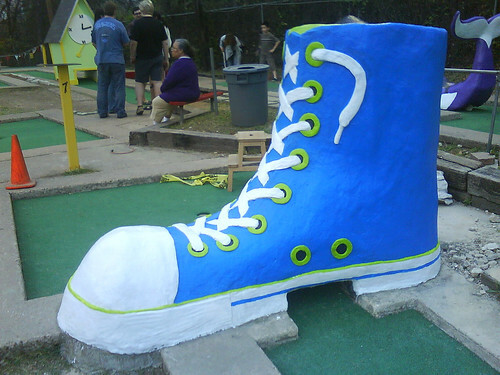 Gotta love the Chucks treatment! 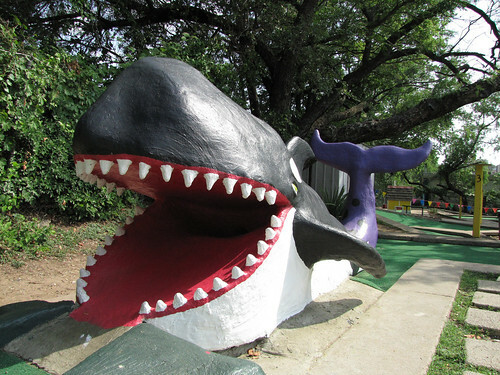 This ain’t no “Old Lady and the Shoe” anymore! 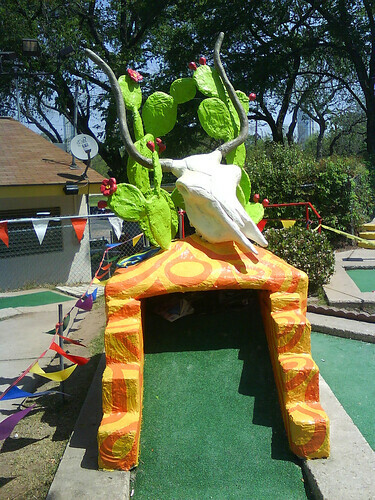 All our holes on both courses have been painted with gorgeous, vibrant new designs! 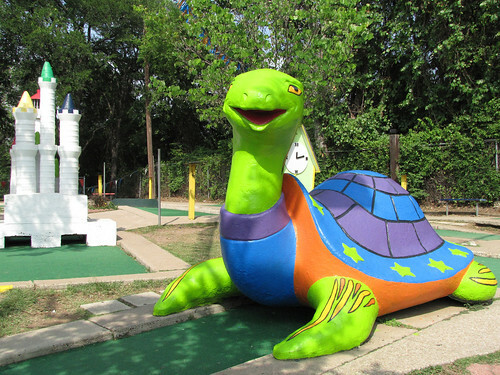 Cheryl D Latimer has given our old friends brand new fun paint designs, as well as creating new characters that await you on the East and West courses!